You know that ever-so-frequent moment when your mind starts drifting to a tropical island filled with swaying palm trees, soaring cliffs and vine covered mountains? That place where you conjure up an afternoon of gratuitous lounging, filled with copious amounts of wine and food while listening to soft island tunes in the background? 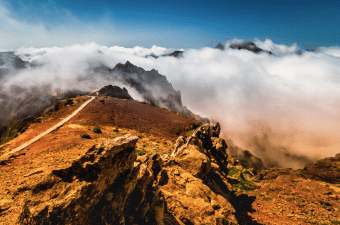 Madeira is by far one of the most dramatic places you’ll ever rest your eyes upon. If you’re looking for a straight line…anywhere, forget it. There are two directions: curved and vertical. To survive this incredible half-day tour, you must embrace your inner island Jedi to revel the swirling among canopies of grapevines, juicy technicolored fruits, whitewashed cottages and enough island charm to put Gilligan to shame. If you love exotic flavors, adore vibrant colors and shapes, or simply appreciate a sea of gorgeous humanity, you’ll adore the first stop of your tour. Located on the edge of the old town in Funchal, this charming, quaint, youth driven market is an absolute joy to visit, not to mention, a masterclass on island flavors! Ever taste a Custard Apple, a Split Leaf Philodendron, an Indian Fig or a Pitanga? What about a half-dozen different varieties of passion fruit, where each color expresses a completely different flavor! 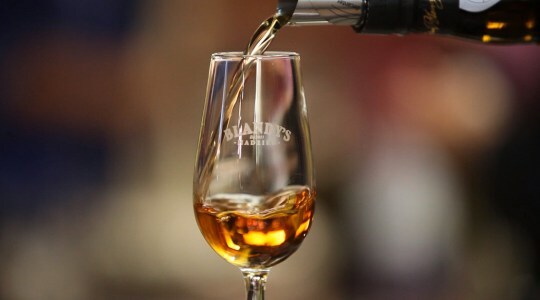 At the end of your sensorial adventure, enjoy a cultural guided tour of Funchal’s late 15th century Cathedral followed by a historical tour and tasting at one of the oldest wine cellars on the island. Happy and satiated, we’ll whisk you off from your Madeira tasting to lunch where you’ll savor island favorites such as Espetada (grilled meat on a skewer) and Espada – black scabbard fish. If you’re needing to commune with nature, we’ll happily provide a guided tour of Funchal’s famed Botanical Garden with a stunning bird’s eye view of the city.